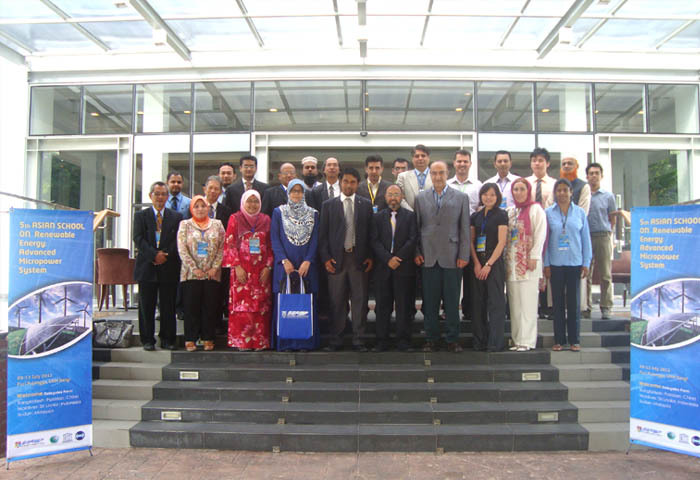 The ‘5th Asian School on Renewable Energy: Advanced Micro-power Systems’ w as co-organized by the Commission on Science and Technology for Sustainable Development in the South (COMSATS), from 9th to 13th July 2012, in Selangor, Malaysia. 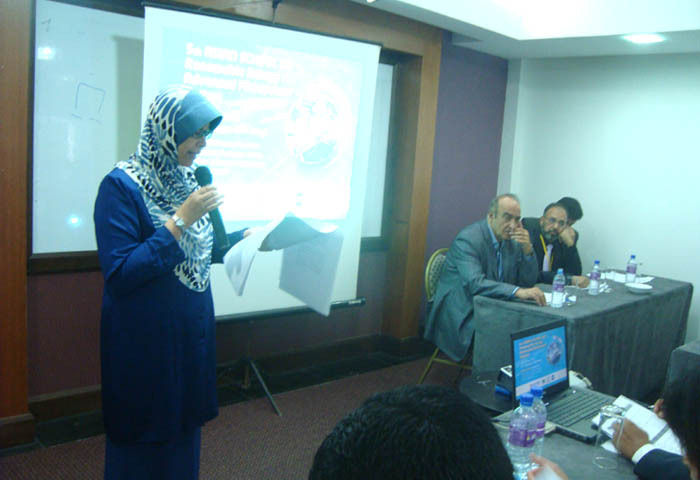 This international event was hosted by the Solar Energy Research Institute (SERI) of Universiti Kebangsaan Malaysia (UKM); and had the patronage of the Islamic Educational, Scientific and Cultural Organization (ISESCO); and the United Nations Educational, Scientific and Cultural Organization (UNESCO). The School was organized with the objectives, inter alia, to: promote the use of environment-friendly technologies in the developing countries of Asia; create awareness among policy-makers, academicians and professionals of developing Asian countries on the concept of sustainable energy technologies viz solar, wind, biomass, fuel cell and hydrogen energy; introduce micro-financing schemes for mircopower technologies; and orient the participants with the practical aspects of micropower system applications. Speaking at the inaugural ceremony held on July 9, 2012 at UKM, Prof. Kam aruzzaman Sopian, Director SERI, UKM, welcomed the national and international, participants and noted with appreciation ISESCO’s initiative in launching this school for the Central Asian countries. 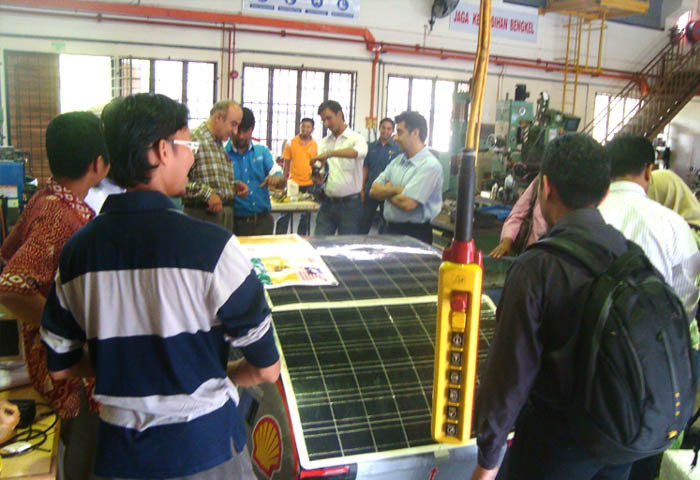 The School was later given the theme ‘Photovoltaic and Cottage Industry’ in its 2nd event and invited participants from other Asian countries. During the 3rd School the theme of school was changed to Photovoltaics and Micro-power System which has remained the focus of the school up till the 5th event of the series. Prof. Sopian thanked ISESCO, UNESCO and COMSATS for sponsoring the event. Expressing his views on the occasion, Mr. Abbas Sadri, Director ISESCO Tehran Regional Centre, noted that majority of the population of the developing countries have a poor access to electricity and that the unfulfilled energy needs worsen their living conditions and hampers development. Use of renewable energy can be an effective means to meeting the developing world’s energy needs. Mr. Sadri informed that ISESCO is expanding its programmes of renewable energy and has formulated regional policies for promotion of energy efficiency, using clean and renewable energy in Islamic countries. In his message read out on the occasion, the Executive Director COMSATS, Dr. Imtinan Elahi Qureshi opined that the renewable energy technologies such as solar, photovoltaic, wind, and biomass, etc., have enormous potential to solve energy related problems of the developing countries, but a lot of effort is required to realize this potential. He believed that it is imperative for all the developing countries to strengthen their regional and international linkages for research in the field of renewable energy. Dr. Hamiza Ibrahim, Senior Vice President, Malaysian Green Technology Cor poration (MGTC) underscored the importance of energy supply for income generation through enhanced agricultural productivity and micro-enterprises while taking into account the economic conditions of the developing world. Dr. Ibrahim noted that the availability of electricity to rural communities could be improved by employing renewable energy technologies for an accelerated development, alleviating the widespread poverty in our society. The five-day School helped promote practicable solutions using solar cell micro-power systems to meet the energy needs of the households and other loads in the rural communities, where grid-electricity supply is inadequate or absent. Lectures were delivered and training imparted on various topics of the theme of the event by the subject-experts from Bangladesh, Indonesia, Malaysia, Maldives, Pakistan, Sudan, Sri Lanka, and Turkey. Some topics covered during the event pertained to: Solar Photovoltaic Technology; Photovoltaic Thermal Collectors; Biomass Resources and Technologies; Hands on Training on the Use of HOMER PV System Design; Electricity Generation in Small Scale Solar Thermal and Photovoltaic Systems; Fuel Cell and Renewable Hydrogen Production System; and Study of Micro-Generators. Research related projects on renewable energy included: Doping dependent te xtured TiO2 thin films for Photo-catalytic and Solar Cell Applications; Applications of Power Electronics in the Distributed Renewable Energy System; Thermo-electricity and its applications; Thermo-electric micro-power generation for mobile phone charging and LED lighting using biogas: R&D studies of Biogas production via different organic wastes; and Bio-degradation of lignocelluloses for biofuel Production. 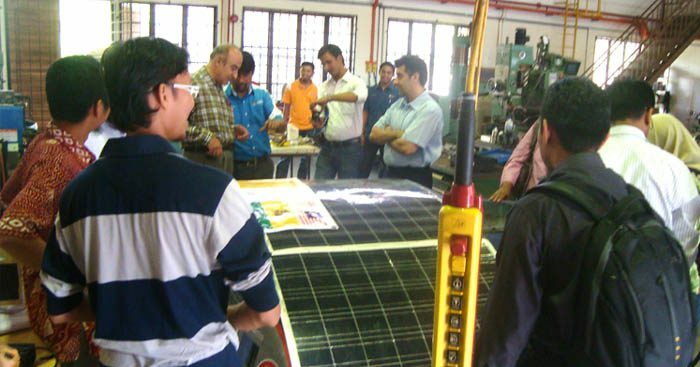 Moreover, practical training was imparted to the participants on Micropower Systems, who also visited Green Technology Innovation Parks at UKM. 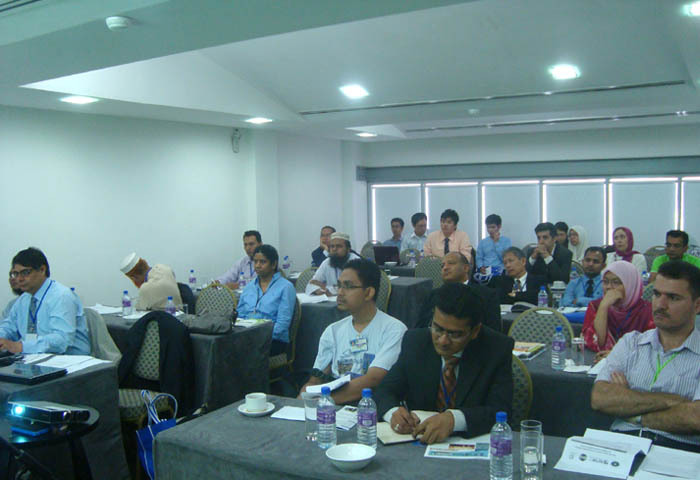 Thirty scientists, researchers, engineers, industrialists, technicians and academicians from various institutions of Bangladesh, Iran, Indonesia, Maldives, Malaysia, Pakistan, Sri Lanka and Sudan benefited from proceedings of the Workshop.